If your iPad is having some issues, like crashing from time to time or running extremely slow, then you may have to hard reset iPad, that is, reset it to default factory settings to fix the issue. Note that there are other ways to fix a slow iPad, but sometimes, hard resetting of iPad is the only solution that works. Also, if you intend to sell your iPad on ebay or any other e-commerce site or even if you are going to just give it away for free, then you must hard reset iPad to default factory settings before giving it away. This is important as it prevents the misuse of your personal and private data stored on it. Resetting iPad to default factory settings is called hard reset of iPad. After hard reset, an iPad goes to same state as when you first purchased it. Remember that once you hard reset your iPad, all your data on it will be erased and it will go back to default factory settings. So perform a hard reset on your iPad only if everything else fails to fix the issue on your iPad or, as discussed above, you want to give away your iPad to someone else. 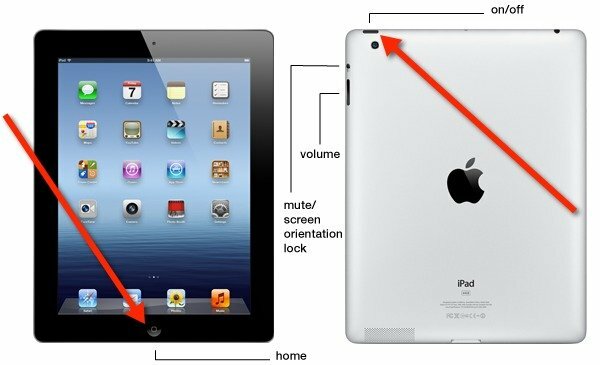 To hard reset iPad, press the home button and the on / off button on your iPad simultaneously. Keep holding them for about 15 seconds. After about 15 seconds, you will see the apple logo on the screen of your iPad. This indicates that your iPad is now hard reset to default factory settings.